Corbin Witt named this year’s recipient of the prestigious Dan and Cheryl Yunk Excellence in Educational Administration Award. 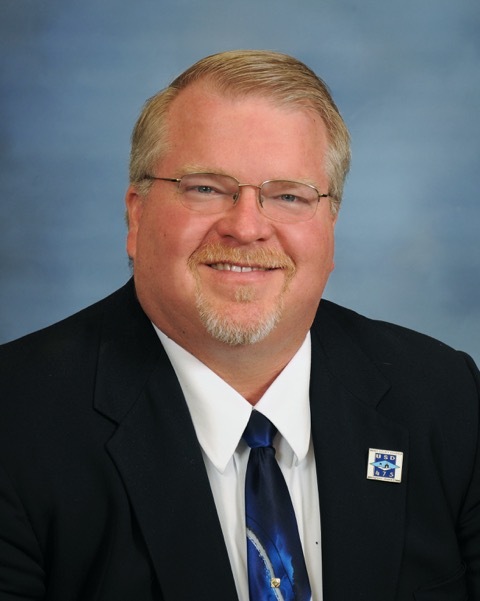 Corbin Witt, superintendent of Geary County Schools, has been named this year’s recipient of the prestigious Dan and Cheryl Yunk Excellence in Educational Administration Award. The Yunks were both exemplary teachers and administrators throughout their careers in the Manhattan-Ogden USD 383 school district. Established in their honor, this award recognizes the importance of educational administrators who establish environments that promote student learning. Witt is the superintendent of Geary County Schools, a position he’s held since 2014. As the organization’s chief executive, he is responsible for district budget preparation and management including federal impact aid, Board of Education relations, curriculum and instruction, negotiations, public relations, crisis management, and day-to-day district level leadership. His career began as a teacher in 1988 at Northview Elementary School in Manhattan, Kansas, where he also became an assistant principal/lead teacher. In his next position, he served as principal at Sterling Grade School in Sterling, Kansas. 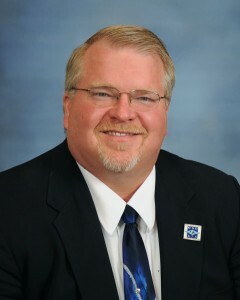 Witt moved to Atchison, Kansas, where he was named principal at Atchison Elementary School from 1997-2001, after which he became the associate superintendent then acting superintendent of Atchison Public Schools. From 2007-2014, Witt was the executive director of School Improvement for Salina Public Schools, a position he held until accepting the superintendent position in Junction City, Kansas. Witt believes his experiences in small, medium and large school districts contributed to his growth and perspective as a leader. He is member of multiple state and national education-related organizations and actively engaged in service organization in his communities where he has lived. Witt earned three degrees from K-State: a bachelor’s degree in elementary education; a master’s degree in educational administration; and a Ph.D. in educational administration. Sandy Risberg, left, and Jane Fishback, far right, accept the award on behalf of the college. The College of Education was presented with a LTG (Ret) H.G. 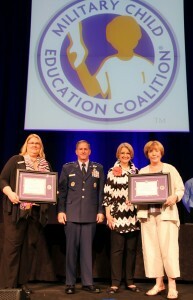 “Pete” Taylor Partnership of Excellence Award™ for higher education by the Military Child Education Coalition, or MCEC, at its 16th National Training Seminar in Washington, D.C., on July 30. Only three universities were recognized. This award will be presented annually and encourages and applauds the outstanding partnerships formed between military installations and school districts that serve military children. Award winners are selected from schools and military installations around the world by MCEC, a non-profit organization dedicated to addressing the transition and educational issues affecting the highly mobile military child. The college was recognized for its collaboration with Fort Riley, Geary County Schools USD 475, Manhattan-Ogden USD 383, Riley County USD 378, and Chapman Unified School District 473.